What happens when a Dragon doesn't brush his teeth? Well...We all heard about the ''dragon's breath''. That's why learning proper dental care is really important for a little boy and his friend Dragon Joe. 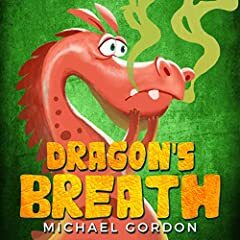 This is a story about a Dragon that hates brushing his teeth. Going to the dentist is also a huge problem for Joe. He gets in funny situations like he can’t smile anymore because his teeth look strange. His breath also smells terrible so he can’t speak to his friend little boy. Finally, a friend shows him the importance of good hygiene, and they are having fun brushing their teeth. This book has a great kindergarten stoty and fantastic illustrations that will make you happier or just put a smile on your face. You and your kids will love this kids book...grab it now while it's still available at this discounted price.